Kulttuuria kaikille - Celebrate the equal marriage legislation wherever, whenever! Tahdon challenge – let’s dance! Finland 100 – In Rainbow Colors celebrates the equal marriage legislation by publishing a music video Tero Hetero feat. Hildá - Tahdon. With this video we challenge all working communities, groups of friends and individual persons to celebrate the new milestone of the human rights in Finland. Participate to the celebration by filming your own video. You can also arrange a Tahdon flasmob using the song and the choreography. Learn the choreography of chorus (YouTube). Put the song on and dance! You can also use the movements to create your own dance. Film or photograph your dance. Share a video or photo and challenge your friends and cooperation partners! 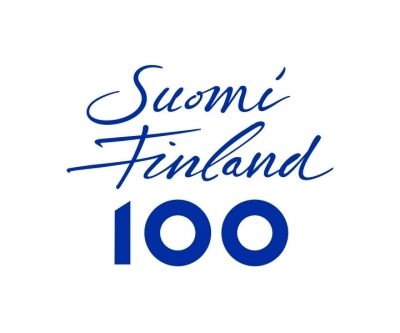 Use hashtags #tahdon and #suomi100 or #finland100. Please also tag @suomi100sateenkaarenvareissa on Facebook. When publishing your photo or video, make sure that you have the permission of those featured in the video or photo. The lyrics of Tahdon have been translated to Swedish and Northern Sámi and the music video has also captions in Finnish. You can select the subtitles and captioning from the settings of YouTube. 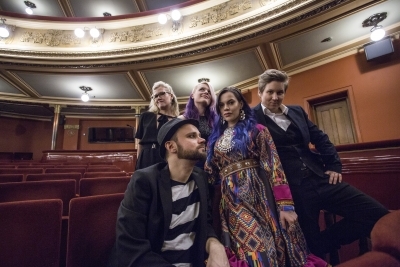 Music by Niina Hartikainen, Henna Helasvuo, Hildá Länsman and Lasse Turunen. Choreography by Hilppa Lampi. Solo in Finnish Sign Language by Silva Belghiti. The dancers are personnel and actors of Svenska Teatern, The National Theatre and theatre group Ursa Minor. Director of photography Tomi Palsa, director Lasse Turunen and editor Henna Helasvuo. You can also celebrate the new marriage legislation by hanging a washing line. Washing Line – a Friendly Gesture is a community art project by Ilar Gunilla Persson and Heidi Lunabba where everyone who want to show their support for equal value are invited to hang out washing in the colors of the rainbow, photograph it and share images using the tag #tvattlina. Pick out clothes or other textiles representing the colors of the rainbow. The fabrics do not need to be one color, it is sufficient that the dominant color is the color that should be represented in your rainbow. The washing line can be in your courtyard, balcony, summerhouse, car, bike or anywhere visible. If you are a business owner, you can hang the washing line in your storefront. We ask you to photograph your washing line and other rainbow washing lines and share the pictures using the tag #tvattlina on Instagram, Facebook or Twitter, if you do not use social media or you have a closed account please send the images to rainbowtvattlina(a)gmail.com.